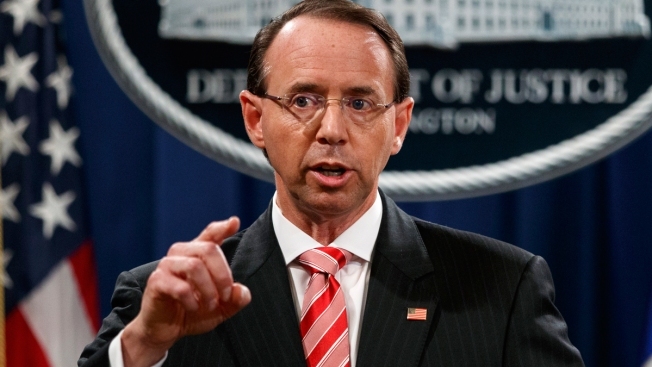 The investigation into Russian election interference is often called the Mueller probe, but it's Rod Rosenstein who oversees it. Rosenstein's fate as deputy attorney general remains in the air after reports last week that he floated the idea of recording President Donald Trump. Rosenstein went to the White House on Monday amid conflicting reports about his fate in the administration. 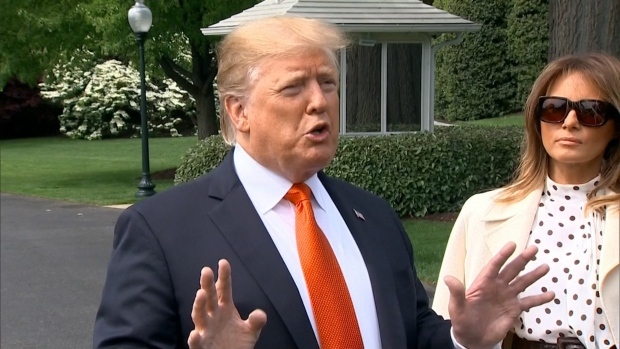 But the president gave him a three-day reprieve, and the two are set to have a face-to-face showdown on Thursday. So what happens to the Russia investigation if Rosenstein loses his job after Thursday's meeting? WHAT IS ROSENSTEIN'S ROLE IN THE MUELLER PROBE? Rosenstein is Mueller's boss. 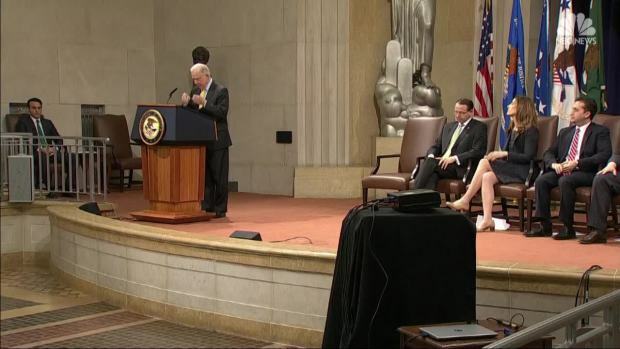 Attorney General Jeff Sessions has recused himself from the Russia probe, to Trump's great frustration, and left the duties of overseeing the investigation to Rosenstein. After Trump fired FBI Director James Comey, Rosenstein appointed Mueller as special counsel to take over the investigation. Rosenstein is acting in Sessions' place to oversee the probe and has the power to fire Mueller — for cause — under Justice Department guidelines. Rosenstein makes nearly all the pivotal decisions in the Mueller investigation, including signing off on indictments. In an interview with USA Today in March, Rosenstein said Mueller was "not an unguided missile." In an investigation kept decidedly out of the public spotlight, it was Rosenstein — not Mueller — who briefed the president and then stood before the microphones when indictments were announced. He did so most recently in July, when the Justice Department charged 12 Russian intelligence officers in the hacking of Democratic Party and Hillary Clinton campaign emails during the 2016 election. WHO WOULD REPLACE ROSENSTEIN IF HE IS OUSTED? Under the Justice Department's succession plan, control of the Russia probe would be turned over to Solicitor General Noel Francisco. He is the highest-ranking official after Rosenstein who has been confirmed by the Senate — a requirement for the position. The acting associate attorney general is actually ranked higher but would be ineligible because it is not a Senate-confirmed position. But Francisco wouldn't take over as acting deputy. Sessions would likely move his chief of staff, Matthew Whitaker, into that position. He would take over Rosenstein's responsibilities outside the Mueller probe. 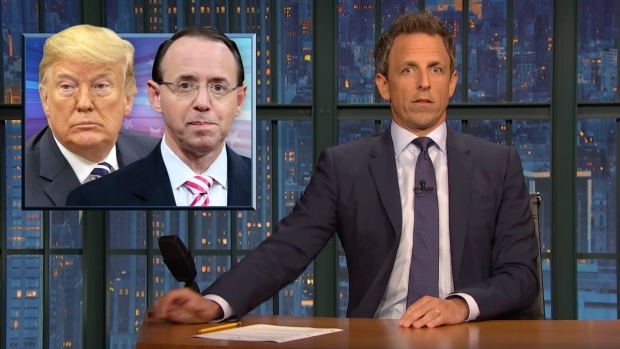 Seth Meyers takes a closer look at conflicting news reports about Deputy Attorney General Rod Rosenstein and at the president doubling down on his support for Supreme Court nominee Brett Kavanaugh. That would be a departure from the department's regular succession plan, which would make Rosenstein's chief deputy, Edward O'Callaghan, the acting deputy. As solicitor general, Francisco is the president's top lawyer who has successfully defended controversial Trump policies, including the travel ban, before the Supreme Court. Francisco served in President George W. Bush's administration, was a law clerk to Justice Antonin Scalia and was an attorney at the Washington law firm Jones Day, where he took on a number of conservative causes. The firm represents the Trump campaign, which could raise questions about whether he would have a conflict overseeing the Russia investigation. Francisco has recused himself from Supreme Court cases in which Jones Day represents a party. If Francisco recuses himself from the Mueller probe, Steven Engel, the head of the Justice Department's Office of Legal Counsel, would be next in line to take over the investigation. WHY IS IT SIGNIFICANT WHETHER ROSENSTEIN RESIGNS OR IS FIRED? The circumstances of Rosenstein's departure would affect Trump's ability to pick a replacement. Under a law known as the Federal Vacancies Reform Act, if Rosenstein resigns, the president would have the power to temporarily move any Senate-confirmed appointee into the vacant post. But Trump has less flexibility if he fires Rosenstein. The Justice Department would likely need to adhere to its succession plan, appointing Francisco as the overseer of the Mueller probe and Whitaker as deputy attorney general. COULD THIS CHANGE THE COURSE OF THE MUELLER INVESTIGATION? If Rosenstein were to depart, Mueller and his investigators would be losing the oversight of an official who has protected their work despite the relentless attacks of Trump and his congressional allies. Time and again, Rosenstein has signed off on critical investigative steps they have taken. As the person who appointed Mueller and constructed his mandate, Rosenstein is intimately familiar with the details of the investigation. There is little likelihood that a successor would be nearly as familiar with the specifics of the investigation. There is also no guarantee that Rosenstein's successor would be willing or able to withstand the political pressures and be similarly supportive and protective of the work of Mueller's team.